CAPRIA is a high-precision metal and machine industry company and the main semi-automated machinery supplier for dry-stacks in Argentina. The optimal hoist equipment considers 1 stacker crane and 2 launchers per dry-stack for a rapid delivery solution. CAPRIA’s expertise team will support you any time. Our experience over 50 years in the manufacture of complex components and specialized machinery has allowed us to develop cutting-edge quality products. 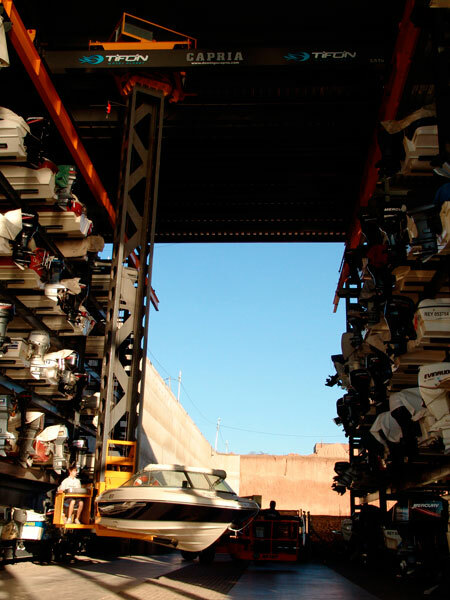 This has strengthened our position as leaders in automated store systems, machinery and dry-stacks. 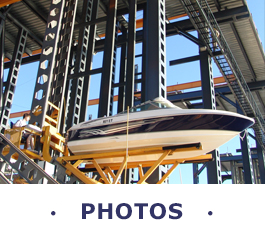 The stacker cranes and our heavy duty boat launchers can be automated, semi-automated or manual, depending on customers’ needs. All our electronic components are from leading brands. The distinctiveness of CAPRIA Machinery for dry-stacks are low maintenance, high performance and eco-friendly. In addition, the highly stylized designs merges easily with any project. 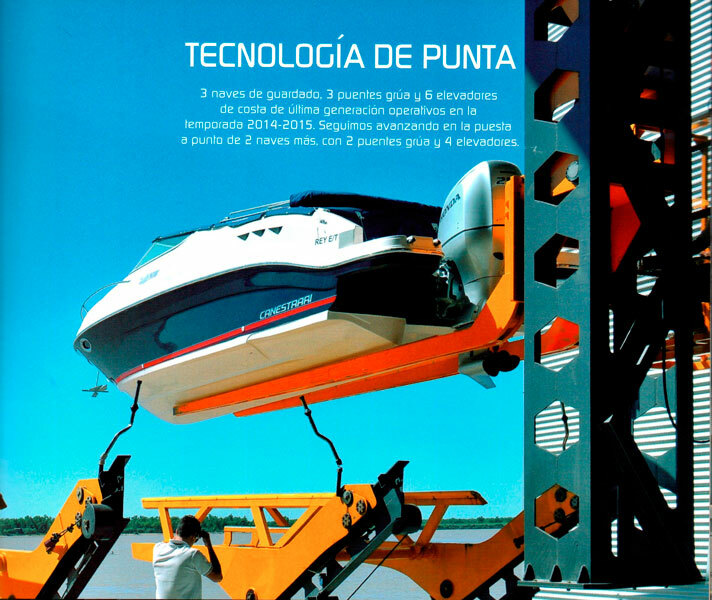 CAPRIA Machinery can be used for boats up to 15 tons/48 feet (specially tailored products on demand).